Shandong University’s Cheeloo College of Medicine is one of the oldest institutes in China and one of the first in the country to enrol international students for MBBS in clinical medicine. Apart from the Chinese medium of teaching, English medium is also available and it is one of the reasons that huge numbers of students from foreign countries, including India, prefer the university. Many rank it as the best medical university in China for its dedication to prepare proficient physicians who are highly knowledgeable in medical science, clinical medicine and preventative medicine. Shandong University (SDU) has a long glorious history dating back to Luoyuan Academy established by Qing Emperor in 1733 at Jinan. Starting 1860s, various American and English missionaries began a number of schools and colleges, many of them facilitating medical education. 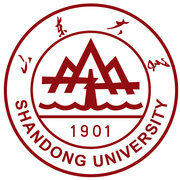 It was in 1901 that Shandong Imperial University can into being resulting from the union of these institutes. It was later renamed as Cheeloo University or Shantung Protestant University which ultimately became the present-day Shandong University after a number of consolidations and restructurings. The present School of Medicine of SDU started as Tengchow Boy’s Boarding School in 1864. It was later merged with other missionary medical campuses in the region to form Shantung Union Medical College which moved to Jinan in 1911. After a lot of renaming and incorporations, it became Shandong Medical University by 1985. The final consolidation made it a part of Shandong University. Ranked at 11 in China and at 270 in the world by CWUR’s 2018-19 World University Ranking. Consistently ranked among the top 10 universities in China for contributing impressive numbers of publications to Science Citation Index. Ranked among top 15 universities by the Chinese University Alumni Association in 2010. SDU has 8 campuses in Shandong Province, 6 of which are located in the city of Jinan, one at Weihai and one at Qingdao. The School of Medicine is located at the university’s Baotuquan Campus (Jinan) which is the historical campus of Cheeloo University. The city of Jinan, also known as Spring City, is located on the bank of River Yellow and boasts of more than 70 springs that exist since the ancient times. Some of the popular tourist attractions of the city include Baotu Spring Park, Thousand Buddha Mountain, Daming Lake, Four Gates Pagoda, Lingyan Temple, Hundred Miles Yellow River Scenic Area, Five Dragon Pool and more. Jinghu Railway and Beijing-Shanghai High-Speed Railway promises fast rail connectivity of Jinan with Beijing and Shanghai. Jinan Yaoqiang International Airport is close to the city centre while many expressways, like 104, 220 and 309 offer excellent road connectivity. Apart from trolleybuses, conventional buses and bus rapid transit system, there are dedicated student, business and supermarket bus lines for local transport. Known for Jinan style Shandong cuisines, the city has numerous restaurants, apart from modern shopping centres, tea houses, cafes and international fast food venues. Infrastructure: All SDU campuses span over 500 hectares in total and offers world-class infrastructure in terms of classrooms, laboratories, research centres and more. The university’s School of Medicine’s medical experimental teaching centre is designated as a national medical basic experimental teaching demonstration centre with 2 national teaching teams. There are multiple national and provincial level disciplines that cover the 4 fields – science, medicine, engineering and arts. The state and provincial level key laboratories further strengthen the university’s infrastructural worth. There are more than 1,000 professors, assistant professors and PhD supervisors currently constituting the teaching staff at SDU. Also, there are currently 60,000 students enrolled with it from more than 100 countries. Nearly 300 students enrolled for the MBBS program at SDU hail from nearly 35 countries across the globe. Those planning to study MBBS in China in 2019 have SDU as one of the most sought-after options. Hostels: On-campus accommodation at Baotuquan Campus consists of two dormitories – No.200 Residence Hall and No.400 Residence Hall. While the first one has only single rooms with public toilets/bathrooms, the second one has both single rooms as well as double rooms with private toilet and shower facilities. Air conditioning, heating and wired/wireless internet are some of the facilities offered to the students. Medium: Chinese and English. Most of the international students opt for English medium. Duration: MBBS course duration in China is 6 years with the final year dedicated to internship. SDU’s School of Medicine has 4 affiliated and 13 teaching hospitals. You may choose among internship at one of these hospitals or go back to India for the same. The university provides maximum of 8 years to complete the program. Eligibility: The international students from English-speaking countries need not provide any English language proficiency certificate. If you studied at a high school in India where English was the medium of teaching, you would also not need to produce any proficiency certificate. In other case, the university demands IELTS (6 or above) or TOEFL (80 or above). Also, the candidate must have scored 60% or above in physics, chemistry and biology at high school level. You must be familiar that NEET is important to qualify even if you wish to study MBBS abroad. Tuition and Other Fees: SDU demands annual tuition fee of INR 450,000 for MBBS program. Other fees include health insurance (around INR 8,000), registration fee (INR 4,000, charged once), books (around INR 4,000) etc. Accommodation fees include around INR 6,000 as deposit and between INR 35,000-42,000 per semester. Shandong University is the right choice if you prefer doing MBBS abroad rather than repeating NEET. To apply with the university and for guidance regarding visa and documentation, you must hire assistance from an experience foreign education consultant.